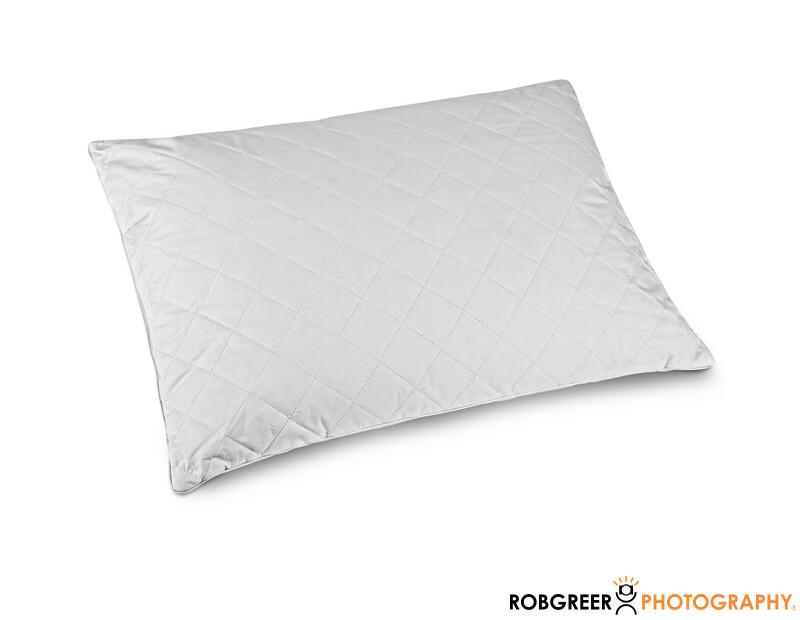 This pillow photograph example of a white fabric object photographed on a white. In fact, as a product photographer, this has been one of the most difficult objects for me to photograph. There are several considerations that make this particular product photography unique. First of all, the client needed to retain enough detail in the white areas of the pillow to show the cross stitched pattern and fabric details, while also establishing that the pillow was white and all the while do so on a white background. Also, when I had to style the pillow, it was difficult to ensure that the pillow retained a shape that was both precise and yet natural looking. I think that by viewing this image, you will see that I was successful in my attempt. 1/125; f/22.0; ISO 100; 60.0 mm.